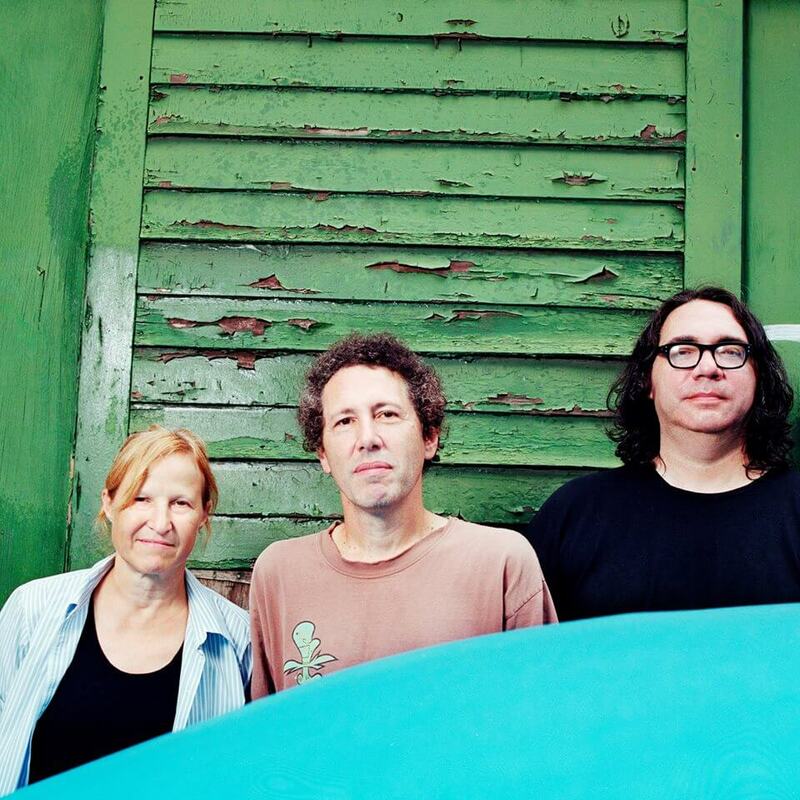 On the heels of selling out all 8 nights at NYC's Bowery Ballroom for their most-certainly-on-again Hanukkah Residency, Yo La Tengo have confirmed a long list of North American shows below (new gigs in bold). 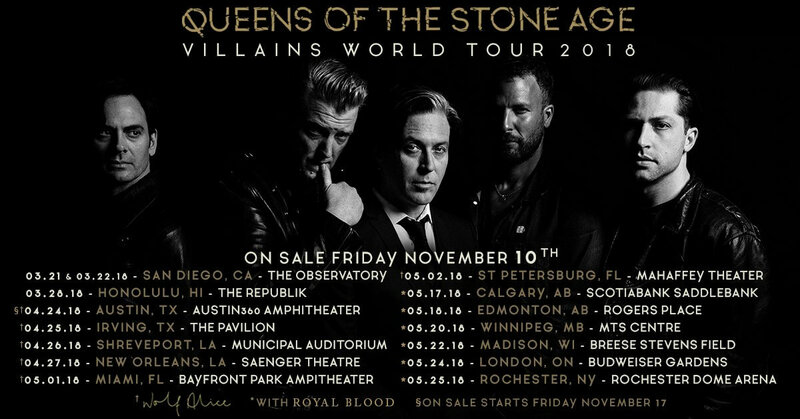 Much like the previously announced European tour, you are free to speculate whether or not these shows may or may not have something or other to do with new recordings that are typically played on turntables, compact disc machinery, car stereos, telephones, etc. Though we shall not confirm or deny anything of the sort, we are powerless (sadly) to stop you from wondering out loud just what's happening. 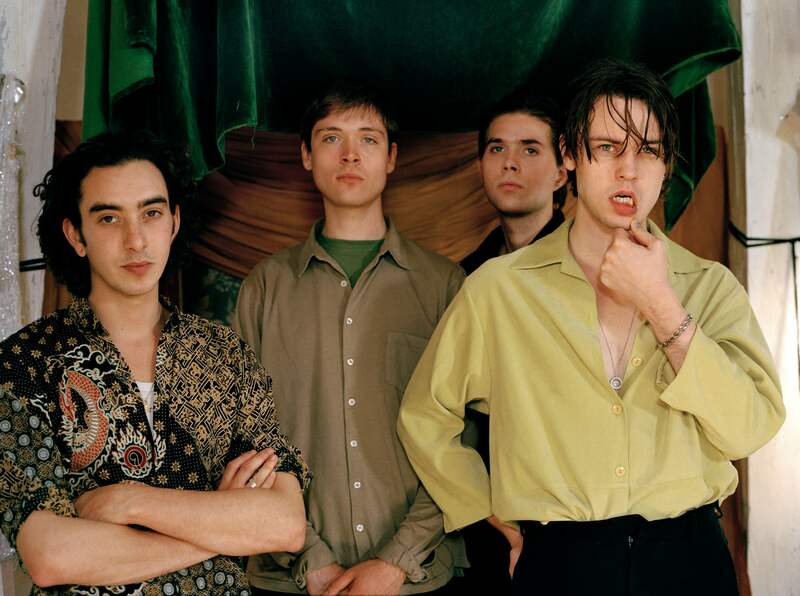 Despite Algiers being currently on the road, filling venues brimful with their firebrand sound and polemic appetite for change, they're already making plans for next year. Algiers are set to play two dates at the Moth Club in Hackney, London, on the 28th and 29th of November - capping off a hard month of touring across the continent. Sending our condolences to the family, friends, musical comprades and fans of Tommy Keene, who passed away earlier this week. Tommy was one of the finest songwriters of his generation or any other, a killer guitarist and most importantly, a fantastic guy whose brought wit, humility and joy for life to every encounter. Whether you knew him thru his early membership in Washington DC's The Razz, his solo spell as a WHFS staple in the 1980's, his subsequent recordings for the Dolphin, Geffen and Matador labels, his tenures as a sideman or collaborator to Paul Westerberg, Robert Pollard, Sally Crewe, Adam Schmitt and Velvet Crush, or his more recent series of amazing releases for the Second Motion imprint, you know we're talking about an irreplaceable talent. 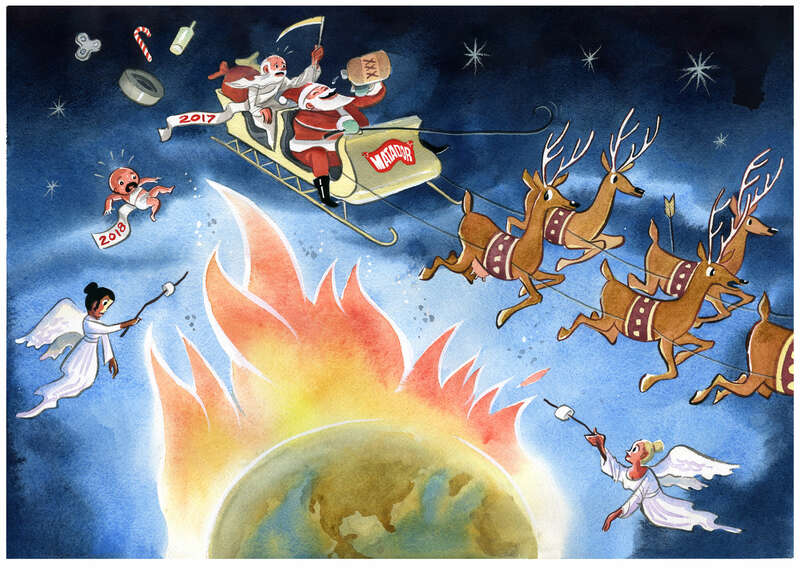 As we survey the year's smouldering wreckage from the brink, we invite you to celebrate, or forget, with us this holiday season. The music video for "The Way You Used To Do" is officially out worldwide today. This might be old news to you if you have an Apple Music account or are some kind of hacker where no paywalls can stop you. Follow the band on YouTube HERE. 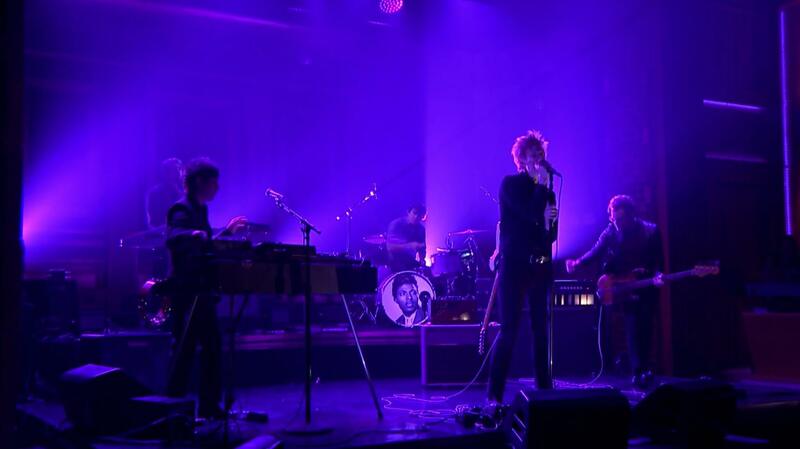 In other news, Queens of the Stone Age will be back on television, this time appearing on Ellen on December 14th. Check your local listings for specific air times and get it on your calendar. 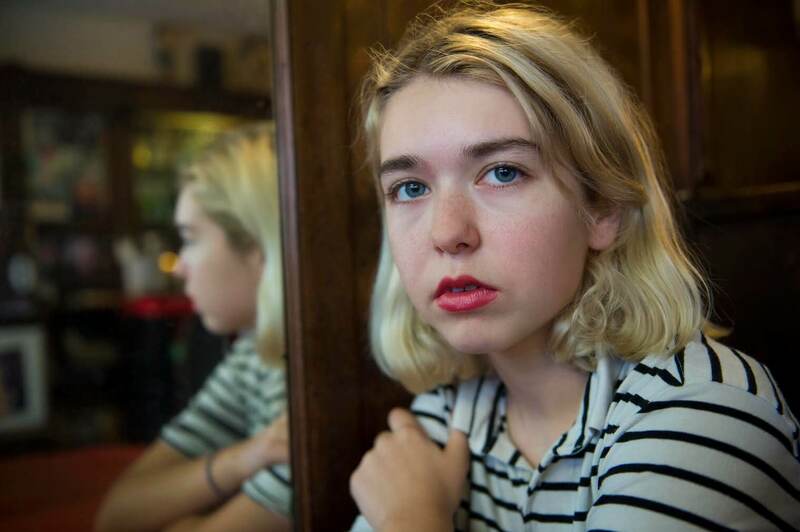 Snail Mail announced today new dates with London natives Shame, in Houston, New Orleans, and along the East Coast this upcoming March. Tickets are on sale this Friday at 10am EST. 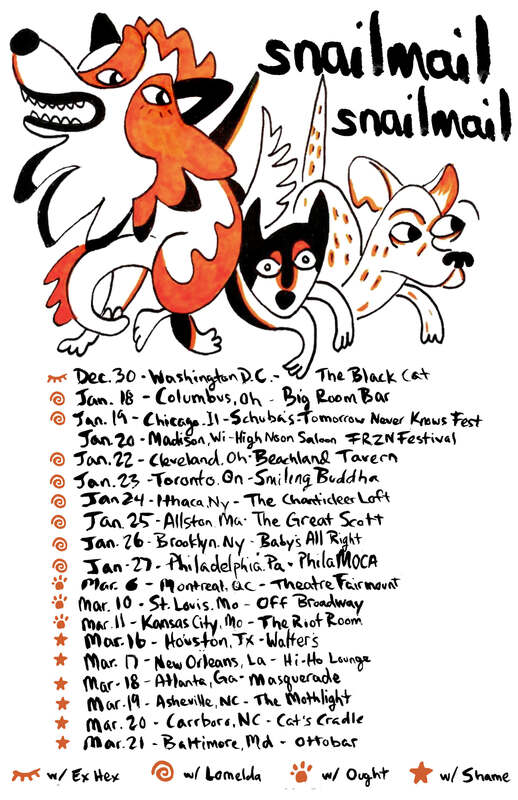 This tour follows an opening slot for Ex Hex in December, and Midwestern/Canadian dates early in 2018 with Lomelda and Ought, all of which are on sale now. Saturday, December 30, 2017 Black Cat, Washington D.C. ! 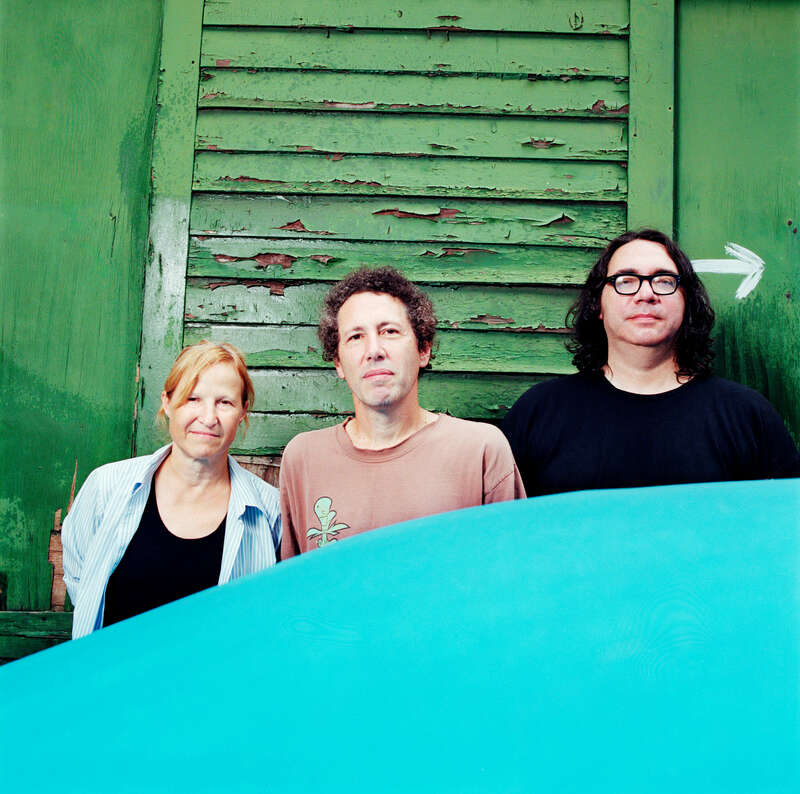 Yo La Tengo kick off an extensive European tour next April in Dublin. MIGHT THIS TOUR HAVE SOMETHING OR OTHER TO DO WITH NEW RECORDINGS? Maybe. Possibly. Who can really say for sure in confusing times such as these. Tickets go on sale 10am GMT this Friday (and that's a fact). Sunday, February 25 - Maracana Stadium, Rio De Janeiro ! Tuesday, February 27 - Allianz Parque, Sao Paolo ! Friday, March 2 - Pedreira Paulo Leminski, Curitiba ! Sunday, March 4 - Estadio Beira-Rio, Porto Alegre ! Wednesday, March 7 - Velez, Buenos Aires ! 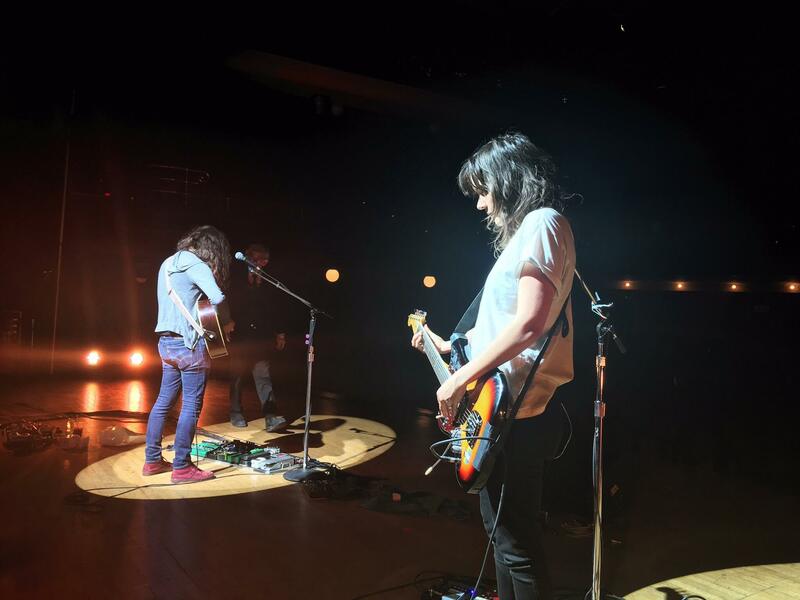 Tonight : Courtney Barnett, Kurt Vile & The Sea Lice on "The Late Show With Stephen Colbert"
Courtney Barnett, Kurt Vile & The Sea Lice make their (collaborative) national TV debut tonight at 11:35 pm (eastern) on CBS' "The Late Show With Stephen Colbert". 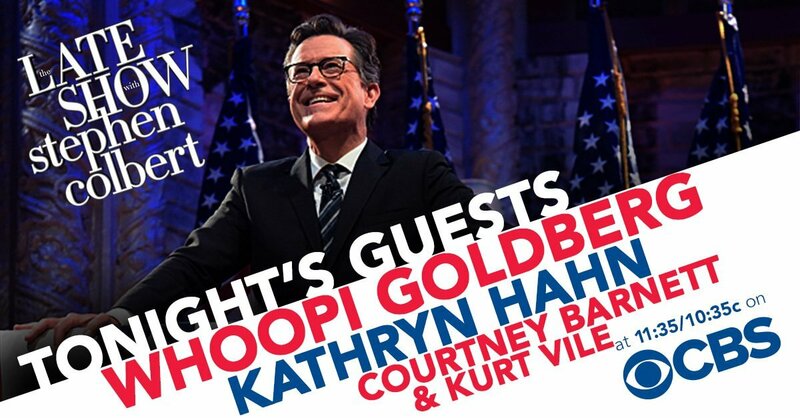 Colbert's other guests tonight are Whoopi Goldberg and Katheryn Hahn. 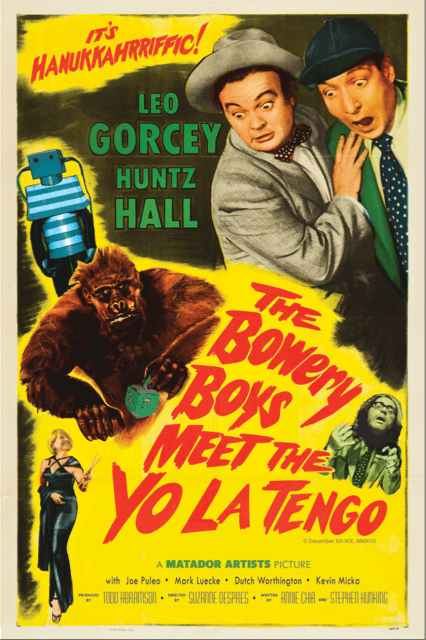 I remain hopeful the former will be asked to confirm or deny plans for a sequel to this 1996 classic, but experienced talk show hosts know how to do their jobs without further interference. Fresh off a North American tour with Beach Fossils, Snail Mail has announced a string of Winter dates, the first of what will be a very big 2018 for the group. 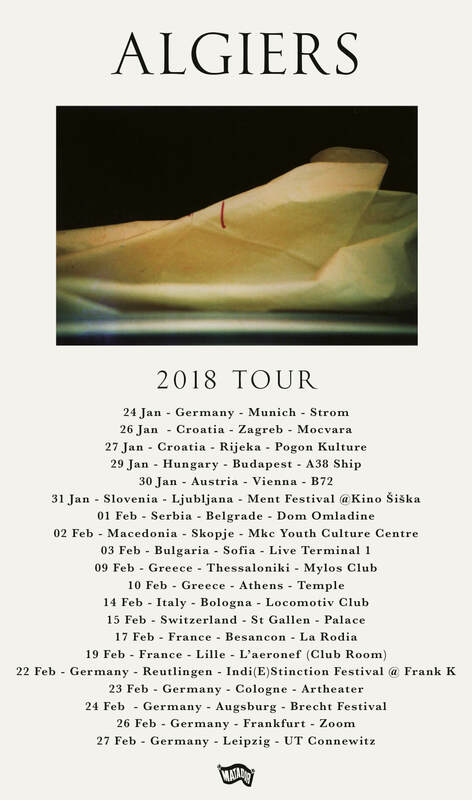 The tour includes support from Lomelda on several shows, and a few dates with Montreal natives Ought. Tickets are on sale this Friday at 10am EST.